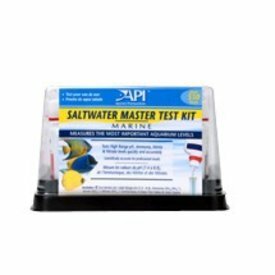 Magnesium plays a critical role in marine aquariums by maintaining a balance between calcium and alkalinity. It is impossible to maintain calcium and alkalinity at the proper levels without also maintaining magnesium. 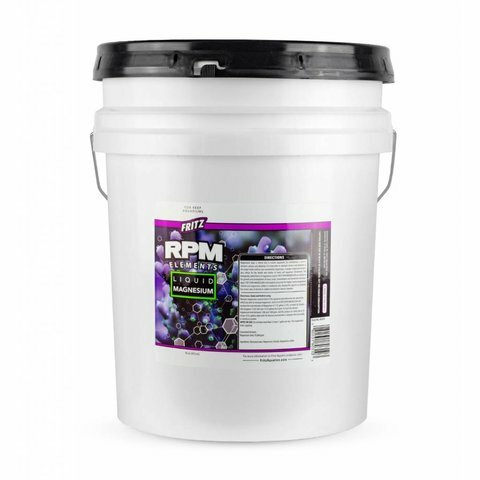 A proper magnesium level is also critical for the health and vitality of many reef aquarium inhabitants. The biologically useful forms of magnesium used in Fritz RPM Liquid Magnesium are utilized in the growth and development of many corals, invertebrates and beneficial calcareous algae. 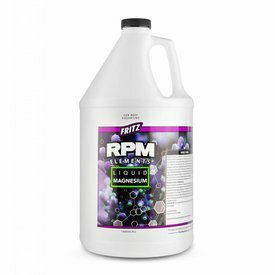 Fritz RPM Liquid Magnesium is formulated using only the highest purity magnesium chloride and magnesium sulfate in a balanced ratio, helping the aquarist to maintain the correct ratio of chloride to sulfate ions found in natural seawater. 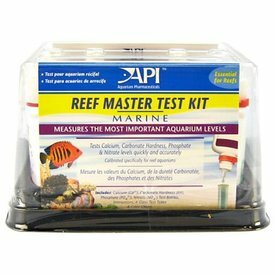 Measure magnesium concentration in the aquarium, and determine the amount by which you wish to increase magnesium. 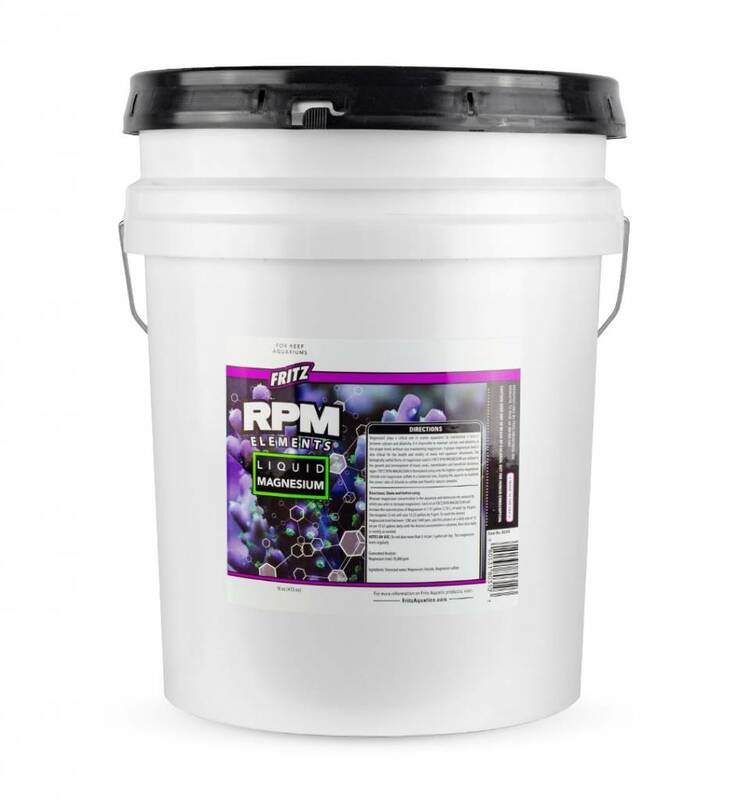 Each ml of Fritz RPM Magnesium will increase the concentration of magnesium in 1 US gallon (3.78 L) of water by 18 ppm. One teaspoon (5 ml) will raise 10 US gallons by 9 ppm. To reach the desired magnesium level between 1280 and 1400 ppm, add this product at a daily rate of 10 ml per 10 US gallons daily until the desired concentration is attained, then dose daily or weekly as needed. Notes on Use: Do not dose more than 5 ml per 1 gallon per day. Test magnesium levels regularly.